On the Main Street opposite Terpsis. Built in 1913, this is one of the oldest surviving buildings in Pefkos. 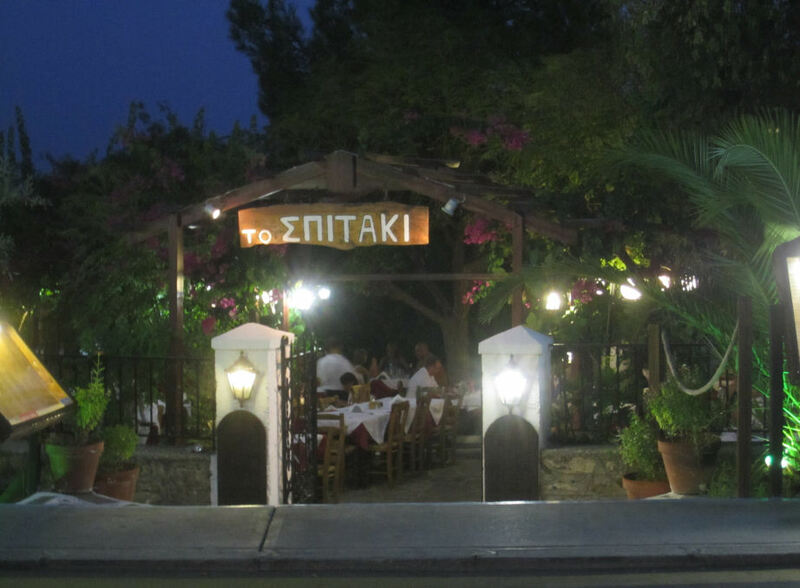 This is a real traditional Greek taverna. The name means 'Little House'. They use the best local ingredients to produce great traditional food. The dining area is a large al fresco courtyard, with a beautiful garden giving a delightful flowered canopy. We like the unhurried feel here, with plenty of time between courses. The very relaxed atmosphere and good local wine makes this a great choice for an enjoyable evening. ...and finally, we have to congratulate Spitaki on having probably the best designed website in Pefkos. 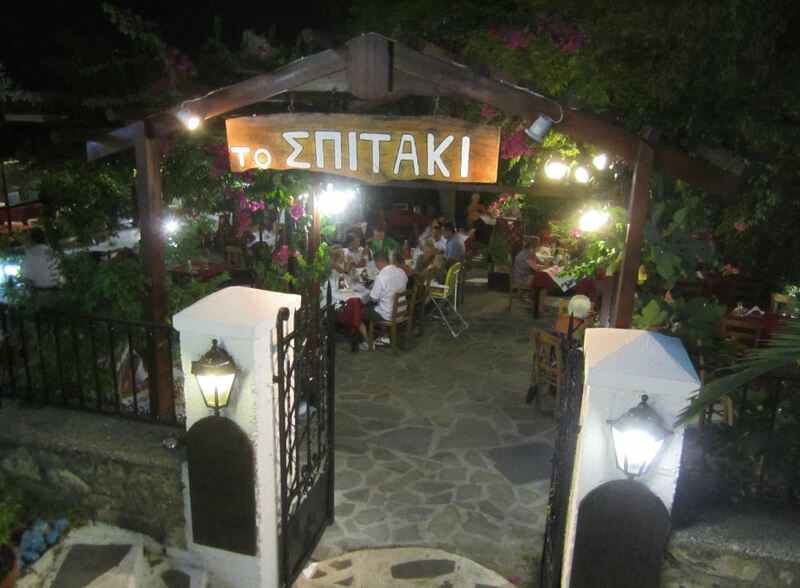 It's a work of art and really captures the spirit of the taverna, visit SpitakiRestaurant.com to see for yourself!